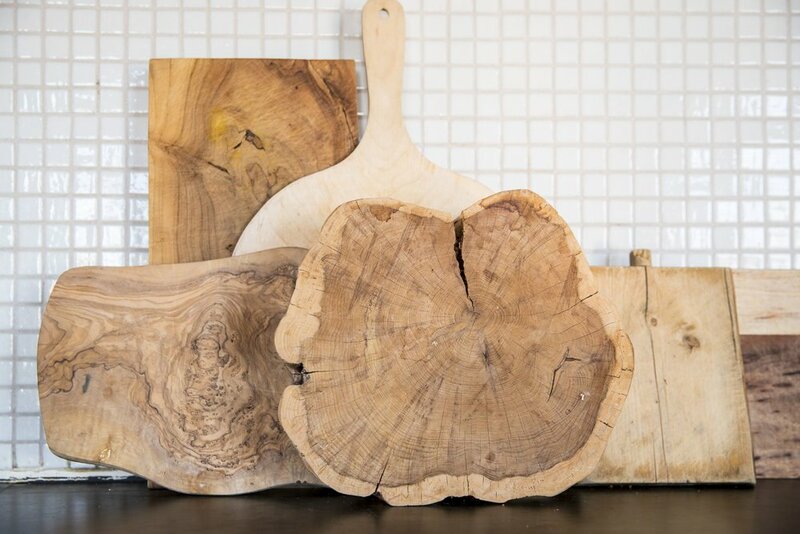 I strive to use as much natural materials as I can in our home. 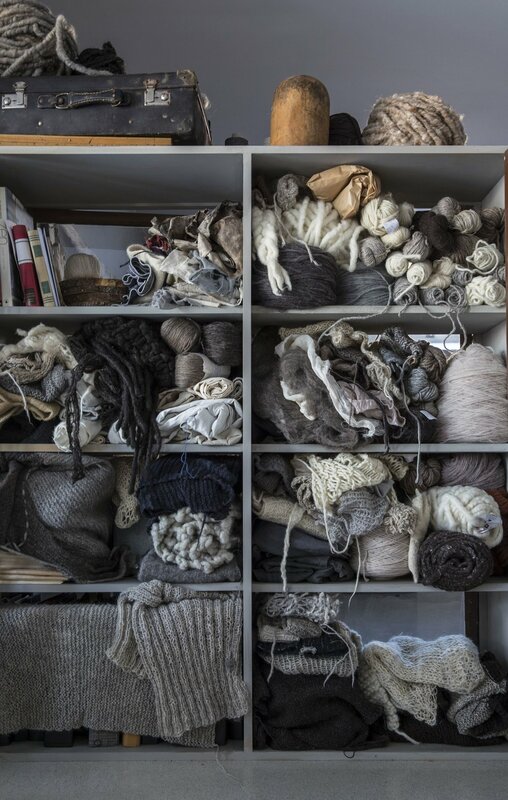 Wool, linen, leather wood and stone. Materials that will grow patina, and beauty with time. 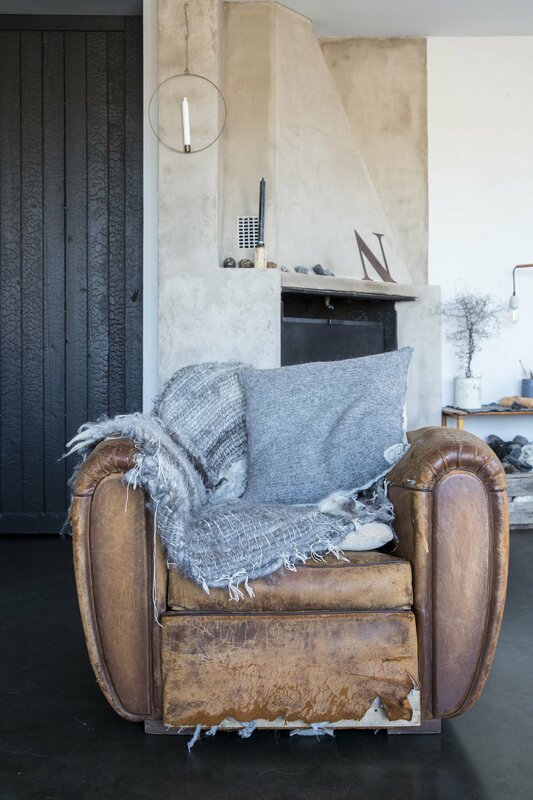 Earlier this winter received a request from journalist Kjersti Blehr Lånkan, if I would be interested in a feature article on natural materials in interiors. It feels good to inspire others to look for long-term relationships with their furniture, and to choose well when it comes to interior. Photo: Vidar Ruud from NTB / Scanpix. Our sofa we have made from boards in burned wood. It has practical drawers below. 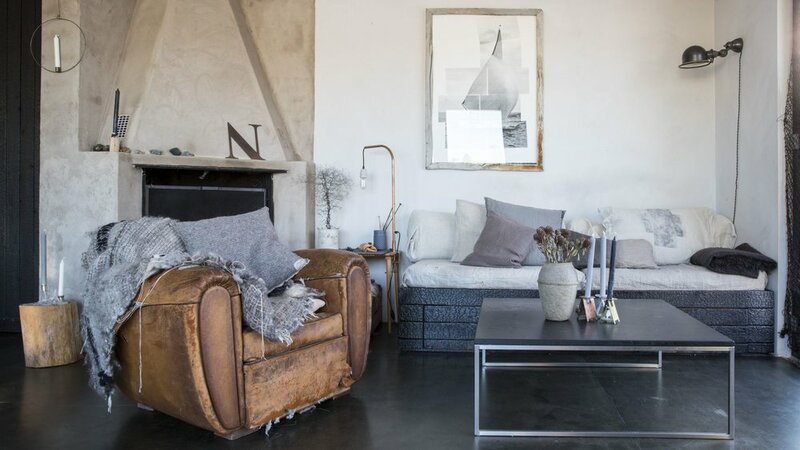 The pillows are covered with vintage linen sacks. Our floor has a concrete expression, but is actually made of an environmental friendly scrap wood material called Valchromat. The beautiful piece of art on the wall is a gift for my husbond (the sailer) made by the talented artist Jannik Abel. 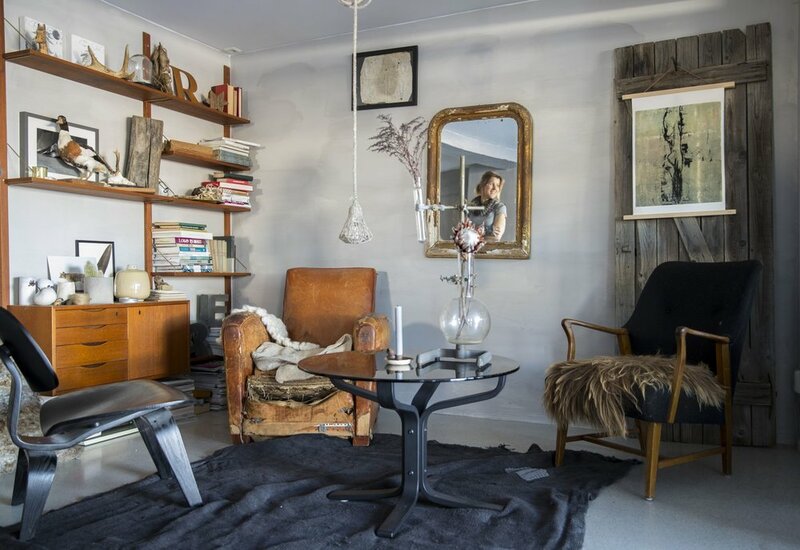 The frame is actually a gorgeous patinated piece of teak I found drifting in the shoreline of Sweden last summer. The antique dining table is a vintage find, skewed, a bit unstable, but oh so beautiful. The chairs are a mix of different Eames chairs and a Tolix that seems to have overcome more than one rainy day. Everything is bought used and collected over time. 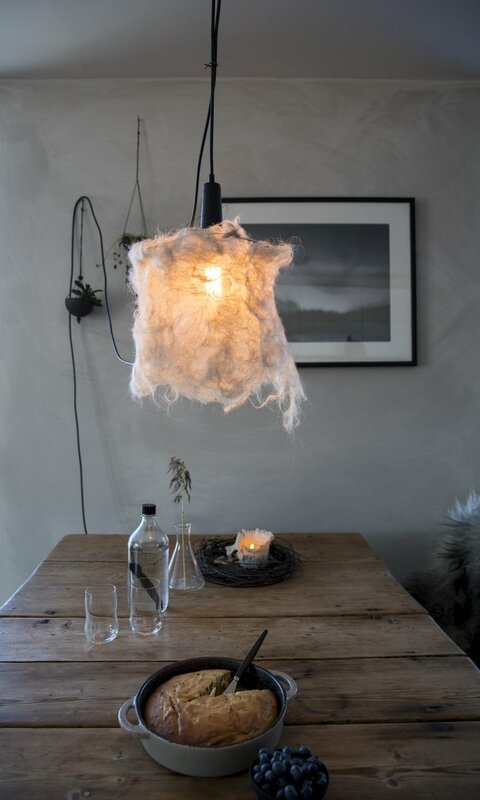 The lamp over our dining table is an old outdoor lamp with a shade I have made of felted wool and silk. 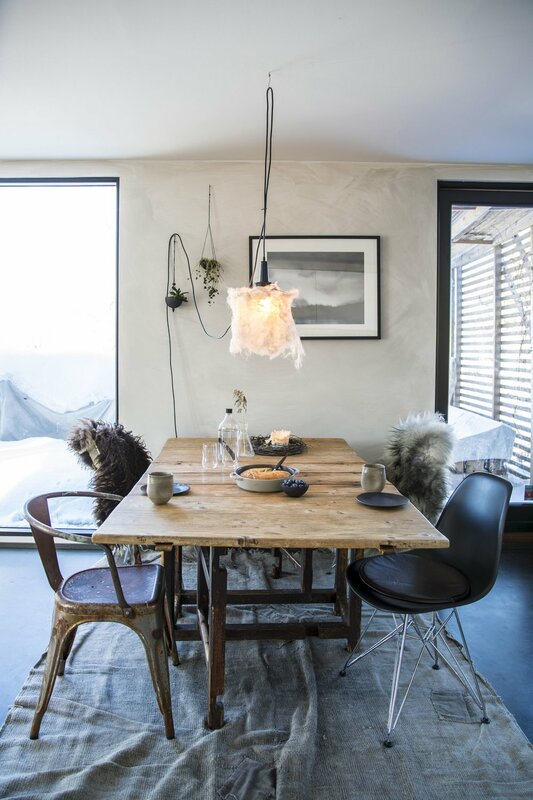 The coffee cups on the table are handmade by Anne Udnes, and the plates and plant hangers on the wall is the work of wonderful Ragnhild Wik. The carpet is upcylet vintage from the Danish company Private 0204. 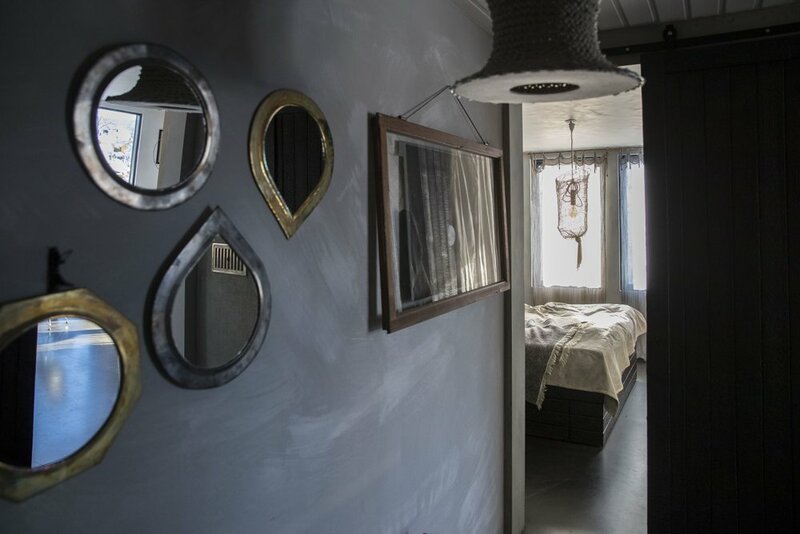 We have painted all our walls with Mineral paint. I collect beautiful materials. I do not always know where to use them, but when I come across gorgeous treasures, in a shop, on a flee market or in the woods for that matter, they will come home with me. 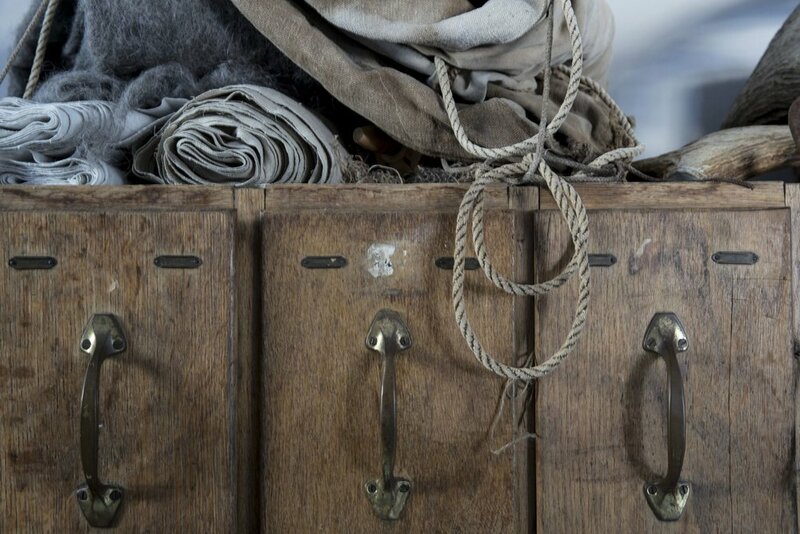 The large old drawer section was rescued from a garage, into my Studio, it seems to be fine with a collection of old linen and woolen textiles on top. 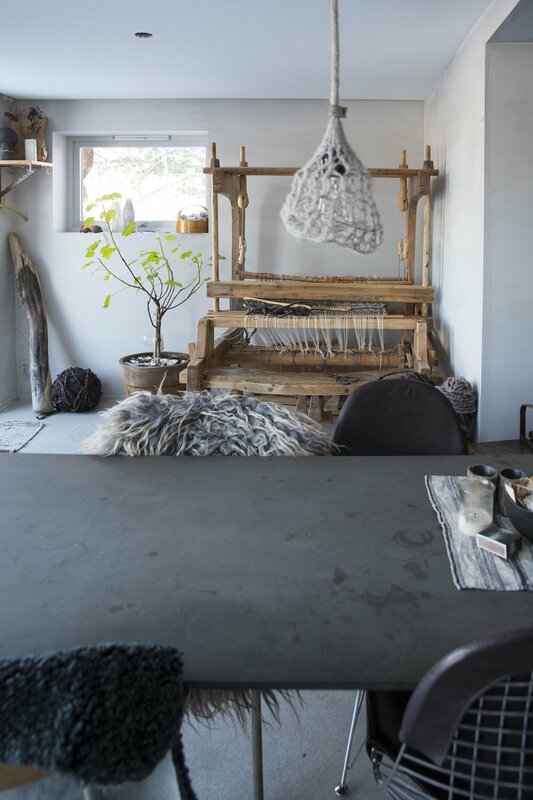 Natural textiles like linen and wool are so much better for the indoor climate than synthetic fabrics. Linen is an exclusive material that is partly self-cleaning and with very good durability. 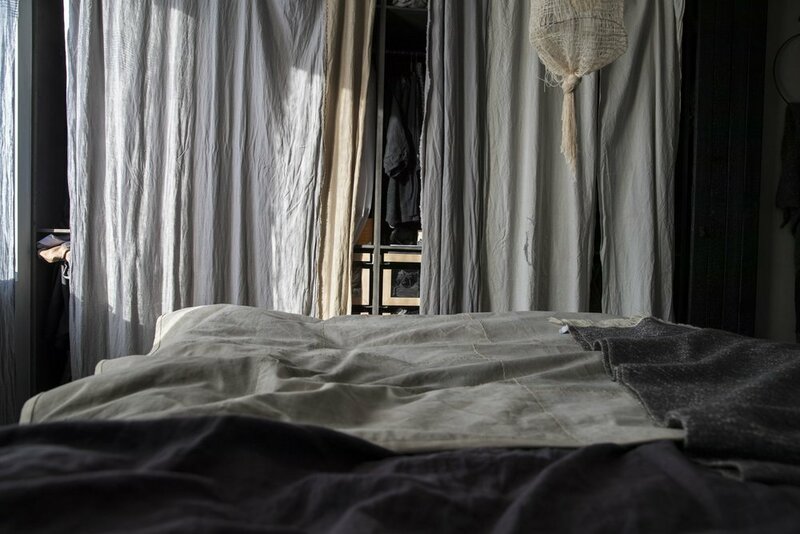 Read more about linen here. I love my home, it is a good place to reside, and the best part is that I know it will age with grace. All photos by Vidar Ruud from NTB / Scanpix. See the article here (in Norwegian).